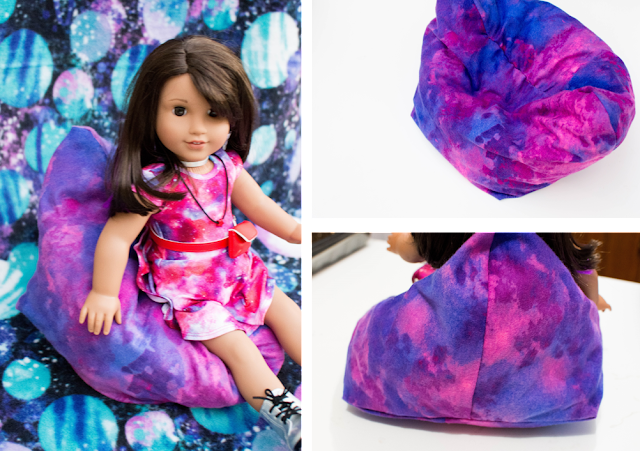 Snugglebug University: Out of this World Doll Bean Bag Chair--It's a super easy DIY! 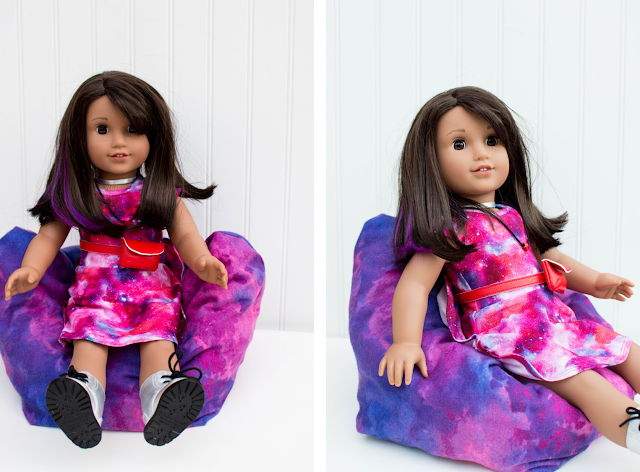 Out of this World Doll Bean Bag Chair--It's a super easy DIY! 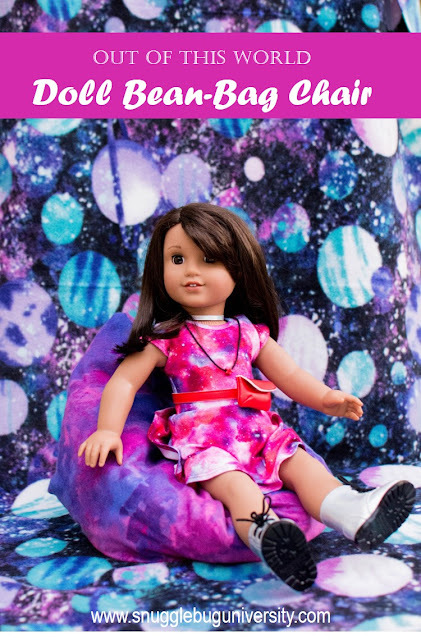 Around thanksgiving Lu found out that American Girl's 2018 doll of the year was Luciana Vega, a space loving girl of South American descent. 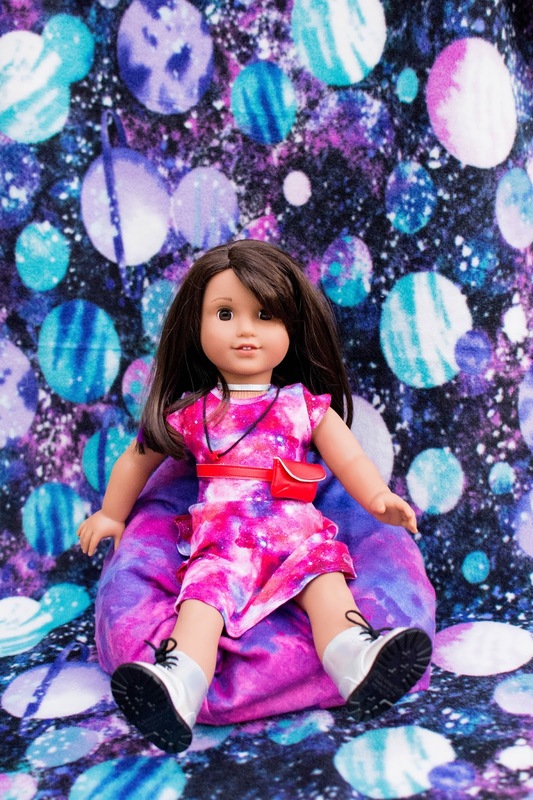 This doll really spoke to Lu for a couple of reasons--one, the doll's name was very similar to her own, Lu's dad is from Argentina, and she thinks science is pretty cool too. For one of her Christmas presents we offered Lu the chance to make some things for her doll, and this project was a part of that promise! 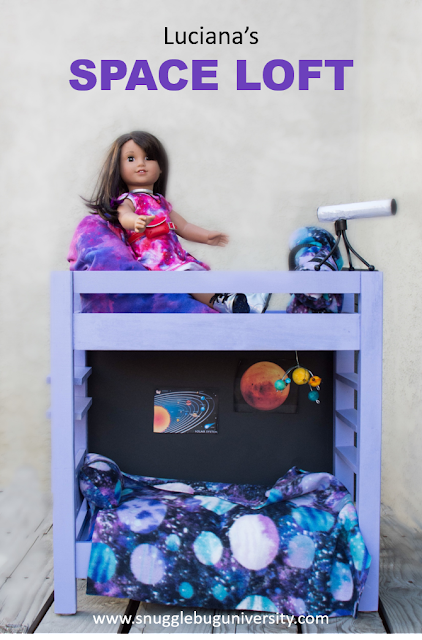 She was so incredibly excited to be able to spend some time making this project today. We made a doll beanbag chair, which--depending on how you place it--can either look more like a bean bag chair or more like a a couch. 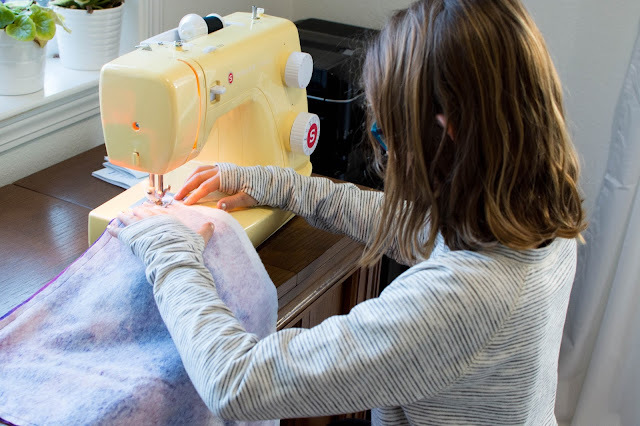 This is THE project to make with your daughter or granddaughter, and you don't need major sewing skills to make it a success. It's really, really easy. 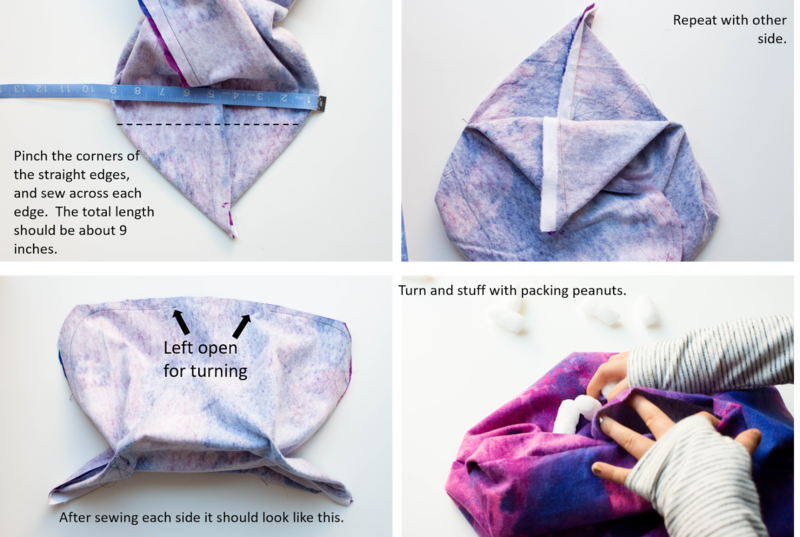 A perfect first sewing project kind of easy. It's even a great STEM project, as Lu really enjoyed trying to figure out how two rectangles could turn into a more 3D chair. 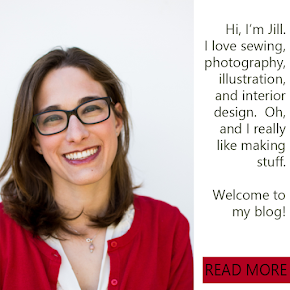 She did almost all of the sewing herself...with just a little bit of help sewing the curves. And once you make this bag, how about making this doll loft to go with it? 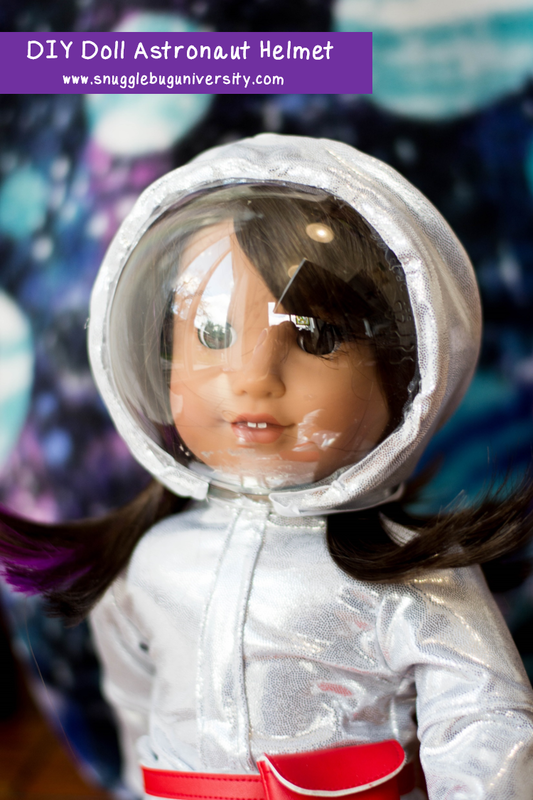 and then you can make this space helmet! But let's talk about these bean bag chairs for now. It's a really fun tutorial guys. I hope you'll try it too! Full tutorial below! Cut out your rectangles. 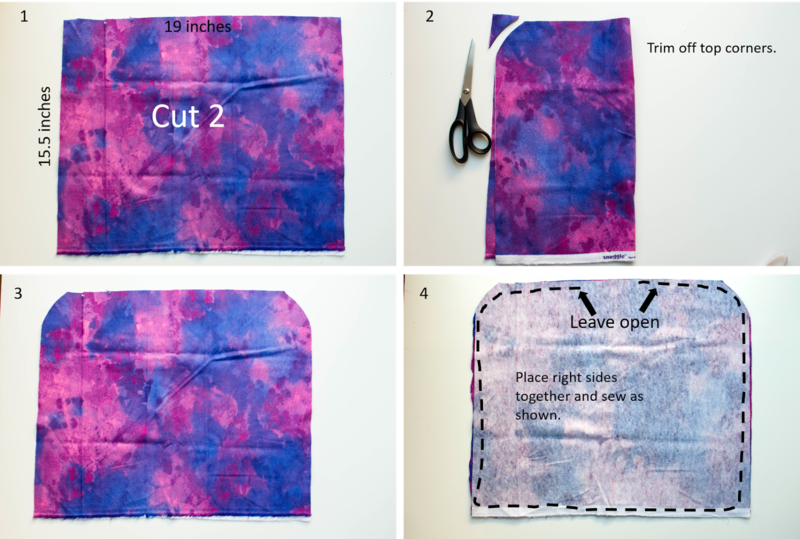 Fold them in half (one on top of the other) and trim the top corners. Then take the two rectangles, place the "right" sides together and stitch as shown in step 4 below. 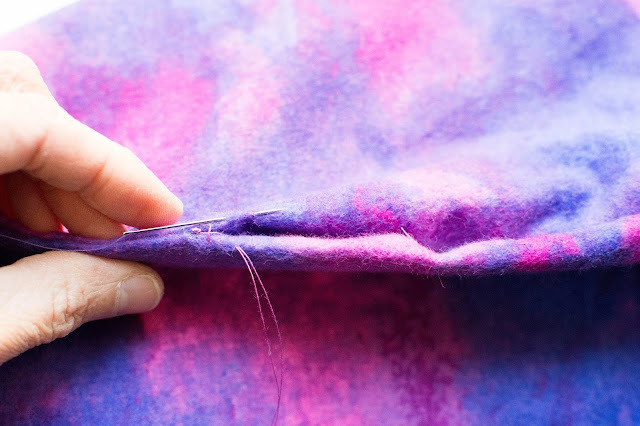 Then pinch each of the bottom corners and sew as shown below. Repeat with the other side. When you are done, you can turn the piece right side out and stuff with packing peanuts. You don't want to stuff too much here, because you want the bean bag stuffing pieces to be able to move around like a real bean bag. All that is left is to close the opening at the top and sew the opening closed with a blind stitch. Easy peasy!! See, I promised this was an easy one!! Perfect for anyone who is just learning to sew, and the whole thing came together in about a half hour, which is so satisfying! 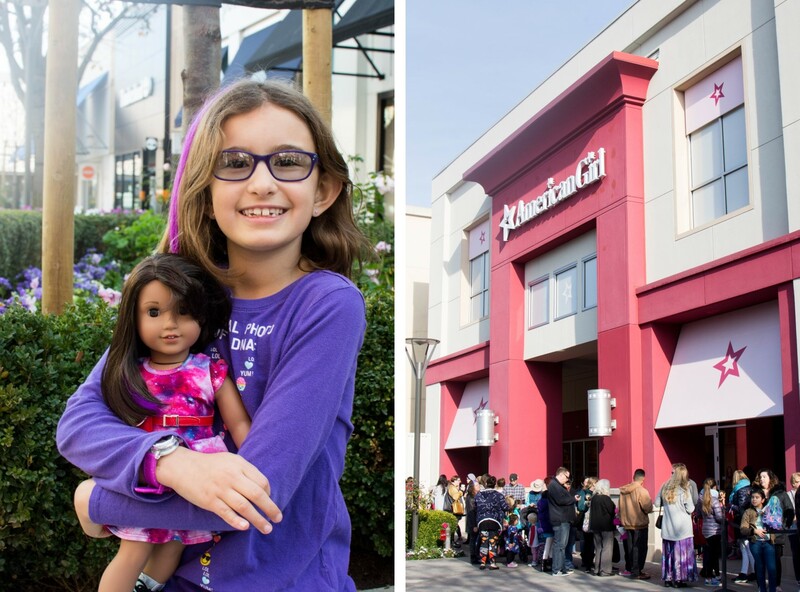 I actually have another American Girl sewing project for you to share with you in the next few days, plus some pictures from Christmas! A little out of order, but oh well! 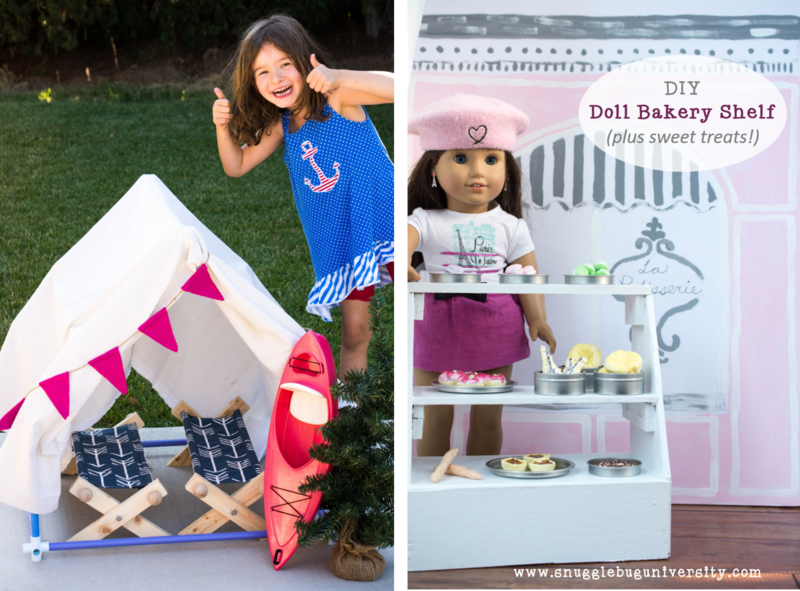 like these doll cots and the bakery treats and stand. Very fun! I've been interested in making my dolls a bean bag, so hopefully I can get around to making this sometime!